is a director of the Royal Shakespeare Company, the President of IPEN, (International Positive Education Network), Chair of the National Archives Trust, is patron or on the board of several charities, founder of the Via Sacra Western Front Walk, and was executive producer of the film Journey’s End. He appeared on the Desert Island Discs in 2016. For the last fifteen years he has given all his money from writing and lecturing to charity. 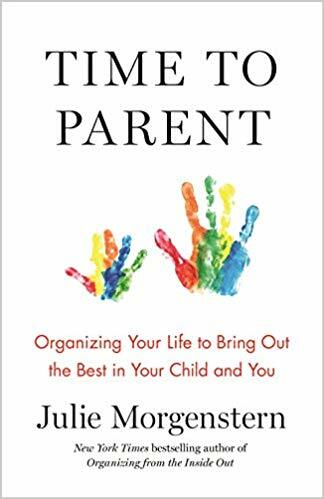 Julie Morgenstern is an organizing and productivity consultant, New York Times best-selling author and speaker. For over 30 years, Julie has been teaching people all around the world and at all stages of life how to overcome disorganization to achieve their goals. Her mission is to free each individual to make their unique contribution to the world—by helping them design their own systems for managing time and space that feel natural and are easy to maintain. Through practical, dynamic workshops and coaching sessions, Julie and her team help organizations around the globe identify what’s holding their people back and get on the road to fulfilling their mission quickly. As a speaker, media personality and corporate spokesperson, Julie is known for her passionate, articulate style and warm sense of humor. She has written columns for O Magazine, Redbook, and Wells Fargo, helping readers solve problems by inspiring order in their lives. She has shared her expertise on countless TV and radio outlets, including The Oprah Winfrey Show, CNN, The Rachael Ray Show, The Today Show, Good Morning America, and The National Public Radio. She is quoted and featured regularly in a wide variety of publications and has been seen in The New York Times, Time Magazine, USA Today, Business Week, The Wall Street Journal, Best Life, O Magazine, Martha Stewart Living, Glamour, Cosmopolitan, Fitness Magazine, and Men’s Health. Time to Parent is her sixth book.